My backyard is dark. 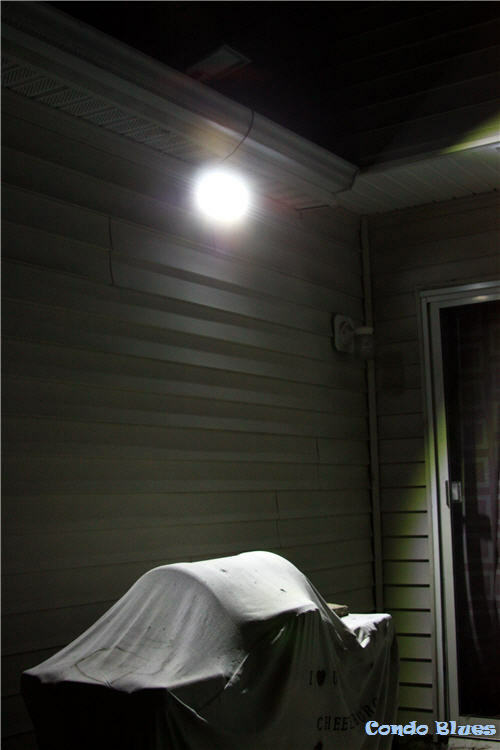 The dinky porch light doesn't do the job, not to mention I always forget to turn it on before I take Lacey out for her nightly post potty Perimeter Sweep. My next door neighbor solves the problem by leaving her porch light on 24/7 but I’d rather not waste electricity during the daylight hours. I am a big fan of solar powered outdoor lights by Deelat Industrial.So you’d think I’d already have some sort of solar security light in my backyard right? Well, no. So far my only experience with solar lighting are small garden lights in my front yard. My solar garden lights don’t throw as much light now that the tree in our front yard decided to grow large enough to prevent the panels on the lights from charging. Fortunately, my backyard faces South and gets full sun. I was a little leery of a solar security light being bright enough based on my tiny solar garden light experience but Deelat assured me that their solar security light produces 1000 Lumens of brightness using 44 LEDs and is bright enough to be used to for businesses as well as homes. Sounds good, then. Let’s give it a shot! 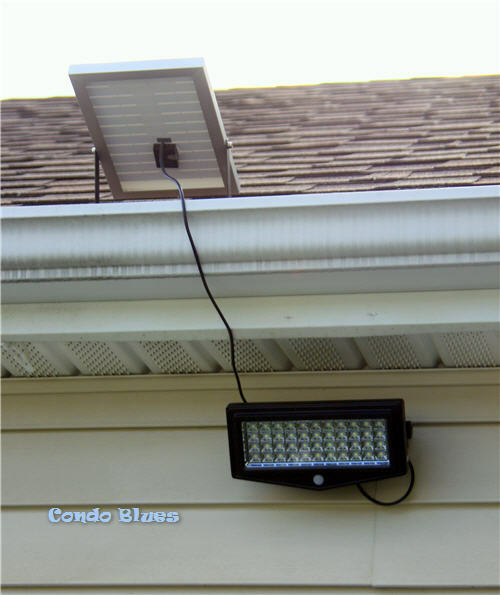 Solar lights are simple to install, renter friendly, and the solar panel naturally works as a dawn to dusk timer while using green and free solar energy to charge and power the light. What’s not to love? I am installing my solar panel on the roof of my garage, since the shade from the rain gutter prevents me from mounting the solar panel next to the security light on the side of my garage. 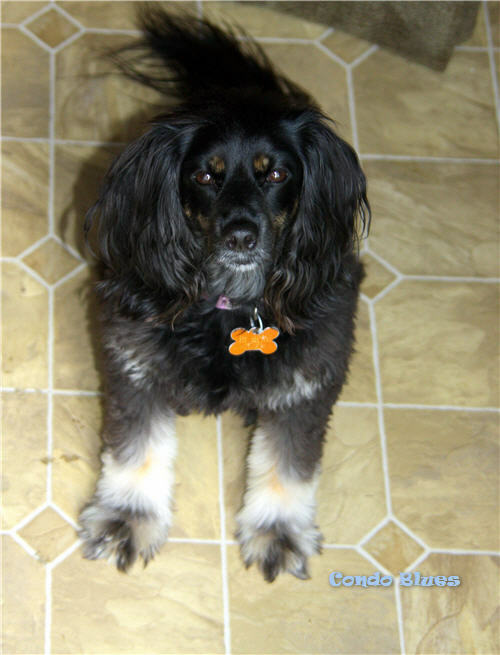 Hi everyone Lacey here! It is my job to remind you to be very careful while working on a ladder, roof, or any other high place during this project. As you can see from the top of my pretty little head, Lisa took this picture from a ladder while I supervised her project from the patio door. She didn’t fall to her death because I made sure she was careful. Thanks for the safety warning Lacey! 1. 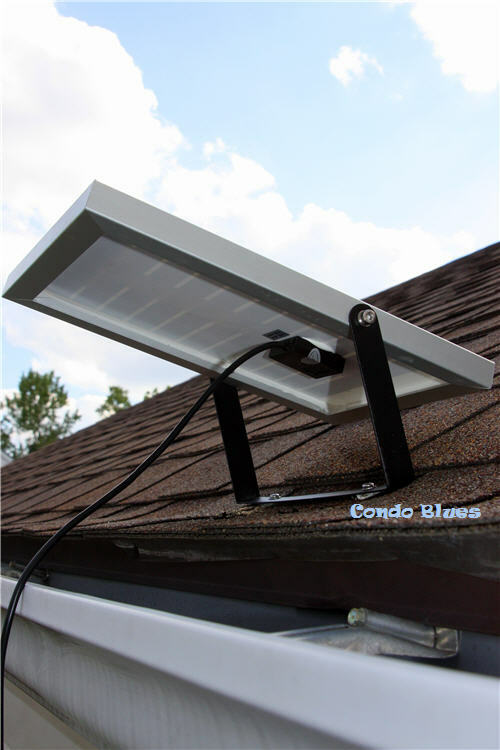 Determine where you want to install the solar light and the solar panel. 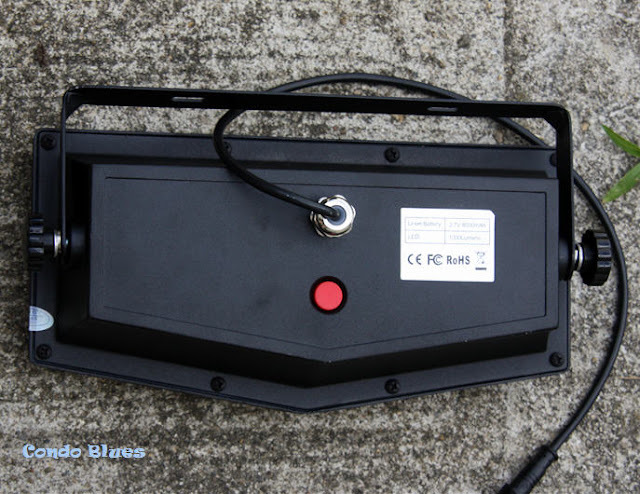 The brackets will allow you to install the the light and solar panel to a light pole or rail or side by side on a wall. I could have installed the security light on the edge of the roof of my house but I didn’t want the light to potentially shine in my neighbor’s windows. I opted for installing the light just under the gutter on my garage, this means the solar panel has to go on the roof to get full sun. No big. I've hung out on the roof with my dad when her repaired it since I was a kid. 2. 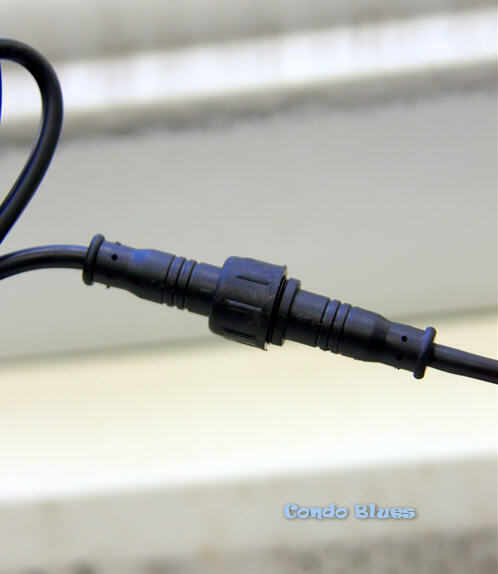 Unscrew the solar light from its hanging bracket and use a pencil to mark where you want to install the light bracket. 3. 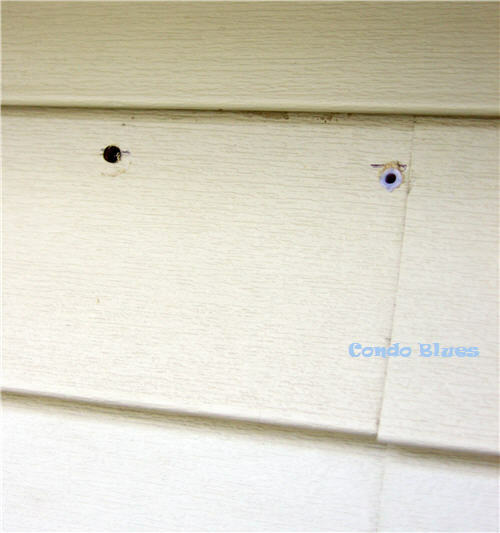 Use the drill and drill bit to drill a hole in each area you marked in Step 2. 4. Put the wall anchors into the holes you drilled in Step 3. I ran a small bead of silicone caulk around each wall anchor to keep out any potential moisture. Overkill? Maybe. Besides I already had the caulk, so why not? Better safe than sorry! 5. 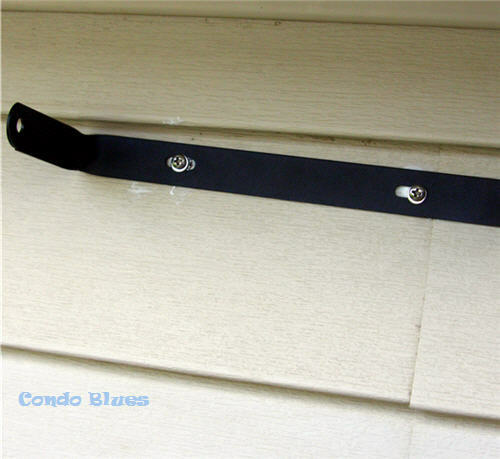 Line the solar light bracket up over the wall anchors and use the included screws and washers and your screwdriver to attach the bracket to the wall. and realize you screwed it in wonky. 6. Reattach the solar light to its bracket. The motion sensor (the white dome) should be pointing down. 7. 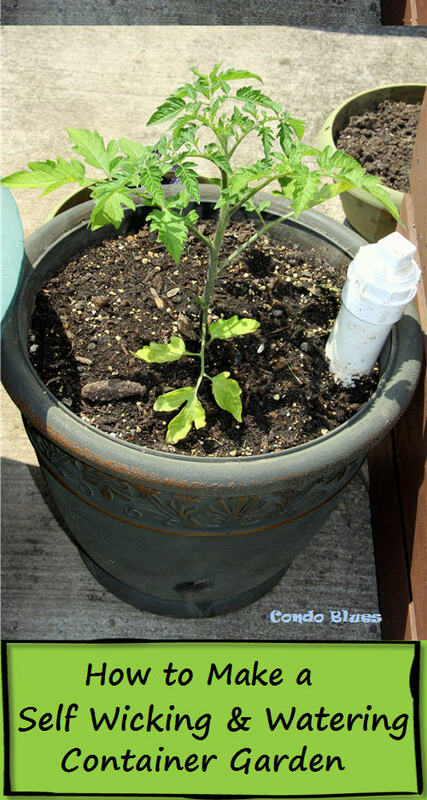 Repeat Steps 1 – 6 to install the solar panel and bracket. Optionally, I would install the solar panel as high on the garage roof as I can and tip the panels as needed during the summer and winter. Unfortunately we often get freezing rain that encases everything outside in thick ice. Trying to chip a car out from an icy tomb is a chore and trying to climb up an icy roof to clear the solar panel is a recipe for disaster. This way, I can safely clear or remove a snow bound solar panel from the ground during the winter, to remove it as prep for a hail or windstorm, or what have you. 8. Plug the solar panel into the security light and tighten the waterproof gasket. 9. Push the big red button on the back of the security light to unlock it and allow the solar panel to charge the battery inside of the security light. You will only need to push the button and turn the light once after you install the light. 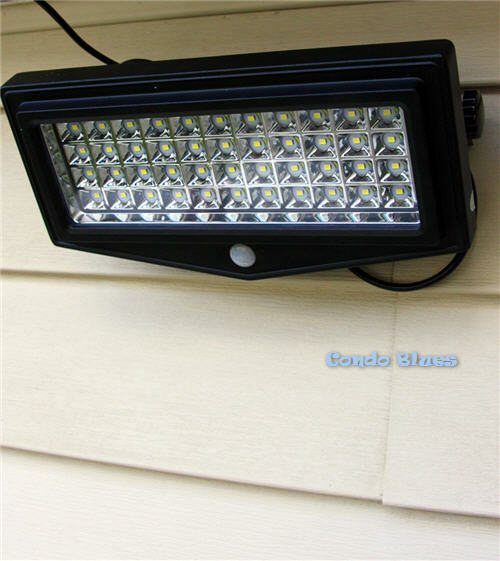 Then the light will automatically turn on and off using the dawn to dusk sensor on the security light. 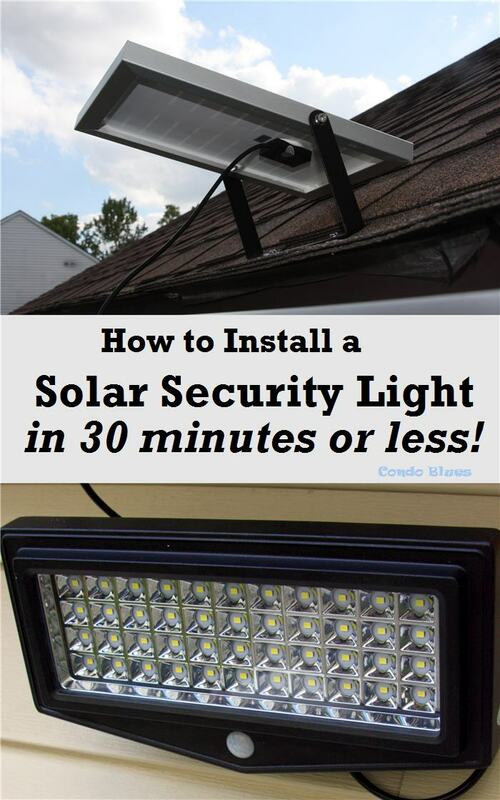 Allow the solar panel to charge the batteries in the security light for 11 hours in full sunlight. 10 Once the solar panel charges the security light, bring on the night, and shine on! I’m pretty darn impressed with how bright this solar security light shines! Something I didn’t know until I started taking photos of it at night is that the solar security light has a motion detector that causes the solar security light to shine brighter whenever it senses someone moving around it. I’m impressed. It is a keeper!